Real People. Real Christmas. Real Intrigue and Danger. The Magi, who studied the heavens and knew something about the arrival of a new king of the Jews, came “from the east” to find out about this newly born king… Naturally they went first to the current king in Jerusalem, Herod the Great—a king who had an impressive resume in some ways, but a cruel man who was known for levying high taxes and building the temple. He was in perhaps the last year of his reign, dying from gonorrhea and possibly cancer. 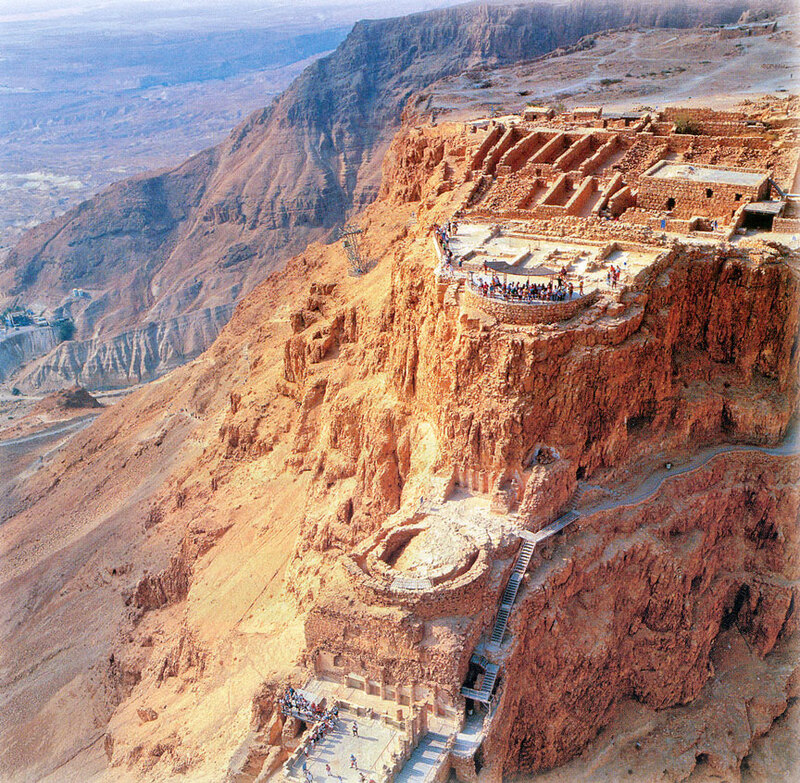 Herod is known for his impressive accomplishments as a builder, and his architectural accomplishments can still be seen today at Caesarea, Masada, and Jerusalem. He had a long, tumultuous reign filled with treachery and murder. He not only executed his wife, Miriamme, but her mother Alexandra as well. He had two of his brother-in-laws killed, and also executed his own sons Alexander and Aristobulus. He was so jealous of his throne that at one point it prompted Augustus to say, “It is better to be Herod’s pig than Herod’s son” (a reference to the fact that the pig had a better chance for survival than a son, since Herod’s household didn’t eat pork). Herod is a somewhat forgotten part of this nativity, but he certainly played a significant role in the birth and early life of Jesus. Matthew says in verse 3 that when the Magi arrived in Jerusalem, “Herod was troubled, and all Jerusalem with him.” It might make sense that Herod was troubled—he guarded his throne zealously, and certainly did not enjoy having other aspiring kings around. But why was all Jerusalem troubled with him? Dr. Duane Edward Spencer taught that since Herod was a cruel ruler who was not exactly beloved in Jerusalem, the fact that the city was disturbed along with him at the approach of these men suggested a somewhat larger and more capable party than three men on camels—perhaps a troop of famed Persian cavalry. It makes sense, since a few men carrying valuable gifts would have been easy prey for robbers, and three guys on camels probably wouldn’t make a city tremble. This is a real story about real people, and it makes sense that men of this stature would not travel without protection, and that Herod and people in Jerusalem would all have their own interpretation of events. Herod tried to twist the Magi to his own ends, asking them to go find this newborn king so he could “worship him”. Like many real politicians before and since, Herod was lying about his true intent. He was a paranoid ruler who was constantly involved in intrigue and questionable choices. (A Herod played a role in Jesus’ birth and in his death. His son, Herod Antipas, carried on the family tradition of making poor choices by marrying his half-brother’s wife, Herodias. She was the one whose daughter danced provocatively for him and then demanded the head of John the Baptist. Definitely soap opera material… Herod Antipas is the same guy who wanted Jesus to perform for him, and who sent him back to Pilate after a very cursory “trial”). But at about the time of Jesus’ birth, Herod the Great sent the Magi to Bethlehem to find Jesus and report back to him. When they didn’t bring him a report, he reacted by doing something that followed his reputation down the corridors of time. He killed all the male children in Bethlehem two years of age and under. 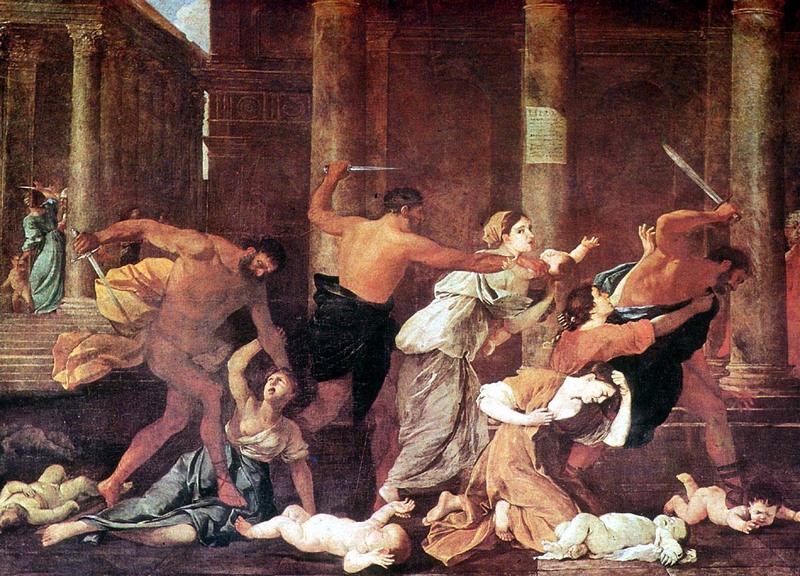 While he missed Jesus, his cruelty touched many other lives, and his action has always been known as the “Slaughter of the Innocents.” (While scholars have not found a direct reference to this act outside of the Bible, it is certainly in keeping with Herod’s character–the man so jealous of his throne that he killed his own mother-in-law, two sons, and his wife Miriamme, just to mention a few. Executing a few little boys would not have bothered him in the least.) Real people. Real events. Know your history: Jesus was really actually part of it. Our Christmas movies on TV and presents underneath the tree. And little children’s shining eyes with every Santa Claus surprise! The boys in Bethlehem, and the evil king who had them killed. But don’t forget. Yeah, Christmas just got real. We may not see Jesus directly, but because He is the Word who created all things, we see evidence of Him all around us, as well as above and beyond us. (“The heavens declare the glory of God, and the firmament shows his handiwork.” Psalms 19:1) If you look at creation, you can certainly get a sense of the personality of the Creator. But here’s the problem: while you can infer a Design from design, you cannot empirically prove that the Designer exists. So why didn’t the Word make himself undeniably evident? The thing is, God has given us evidence instead of proof so that we have a choice about faith. If I could PROVE God’s existence to you, then you would HAVE to accept it, and faith would play no part in discovering who God is. The creation tells us much about God, but He has not directly revealed himself for good reason. People who say to God, “Show me who you are and I’ll accept it” are testing the God of the universe and telling Him to come to them on their own terms… But God doesn’t do that. He comes to us on His terms, and He has already told us how that will happen. C.S. Lewis points out that people who want God to appear before them may be asking the wrong question. “But I wonder whether people who ask God to interfere openly and directly in our world quite realize what it will be like when He does. When that happens, it is the end of the world. When the author walks on the stage the play is over… That will not be the time for choosing; it will be the time when we discover which side we really have chosen, whether we realized it before or not” (p. 65, Mere Christianity). In our daily exposure to creative design, we encounter the Word of God. (Since He created those things, it makes sense that we would see Him in them, right?) It is interesting to compare the teachings of Christ to the structure of the universe, and to see the intimate details wrought into galaxies and microbes, to realize just how astoundingly right John was. Jesus taught about agriculture, the Kingdom of Heaven, and about seeing the Father. There is beauty in the creator’s handiwork that can only be discovered in the light of the Word. There is light coming to us from the vast reaches of space, from stars whose network of gravitational power holds us in exactly the right place in our solar system so that we can exist. There is light from our own sun, which keeps us from freezing, activates photosynthesis in plants, provides us with vitamins, and which makes it possible for us here on earth to experience life and growth. There is order in the ways things operate, whether you look as far out into the heavens as you can, or as deeply into the microscope as it is possible to look. Every created thing reflects principles of order and design. God’s handiwork displays infinite scale that is both massive and microscopic; there is relationship, there are consequences, there is harmony and truth. See if Abraham Lincoln was right. Go out to the country on a clear night and gaze into the stars, past the constellations and out into space. Think about the fact that some of the light your eyes can see has traveled thousands of light-years across space, and originated before the pyramids. See if your soul isn’t stirred a bit, if you don’t find yourself a little bit in awe of the Creator… Compare what you feel to what you know about the Word of God. It just may be that you are receiving more light out there than you ever realized before. There is a revelation that has come to every man. Since God will not force anyone to know that He exists. But evidence, so that man’s faith would not be unreliable. Of this baby born in Bethlehem, John said, “In him was life, and that life was the light of men. The light shines in the darkness, but the darkness has not understood it.” (John 1:4-5, NIV) Men have been misunderstanding Jesus since the time he was an infant. Apparently it is really easy to not understand Jesus… and one of the easiest ways to do that is to assume you already know, and to avoid really looking at him. Because you’ve heard a parable or two, you avoid looking at his entire life. People often look at small snapshots of Jesus without ever watching the whole movie. Or they assume that Jesus must be like people who say they know him, and the spectrum of behavior from folks who say they follow Jesus can be both incredibly varied and incredibly misleading. They range from misguided religious nuts to sincere believers who make mistakes, still live in the flesh, and yes, still commit sins… It’s very easy, if you are skeptical, to look at the Church—the imperfect, stumbling, bumbling followers of Christ and decide Jesus is not for you. Or it’s easy to avoid looking at him closely because you think he is like “nominal” Christians, who may not actually be connected to him at all. So many people say, “Yeah, I know about Jesus, I know about his teachings”, when all they have done is given a cursory glance at what he said, or listened to a secondhand account (yeah, like this one) of what he said. But I would say that to anyone who encounters the Jesus of the Bible, the rabbi who gave the Sermon on the Mount, the teacher who confounded the Pharisees, or the healer who healed, the same man whose birthday we celebrate every year at Christmas, John’s description of the Word is accurate and applicable. To me, in the 20th century as an insecure teenager, Jesus was life. As an adult who could be living in Pottersville instead of Bedford Falls, Jesus is life. 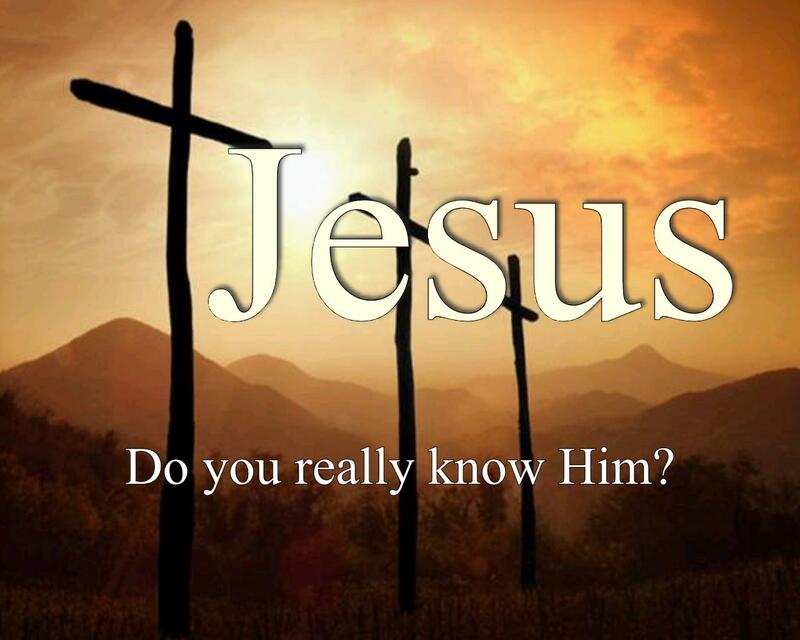 Question: have you REALLY investigated Jesus of Nazareth? Do you know what he taught, have you truly looked at what he was about? John says that “in him was life, and that life was the light of men.” I would suggest that there is indeed darkness in this world, and that the darkness not only doesn’t understand Jesus, it doesn’t want anyone else to understand him either. To those who understand Jesus and discover life in the Word, John promises illumination in the darkness. He promises the ability to see new things, to grow, to stretch outward and upward to life-giving rays of hope! I hope you investigate. I hope you understand. 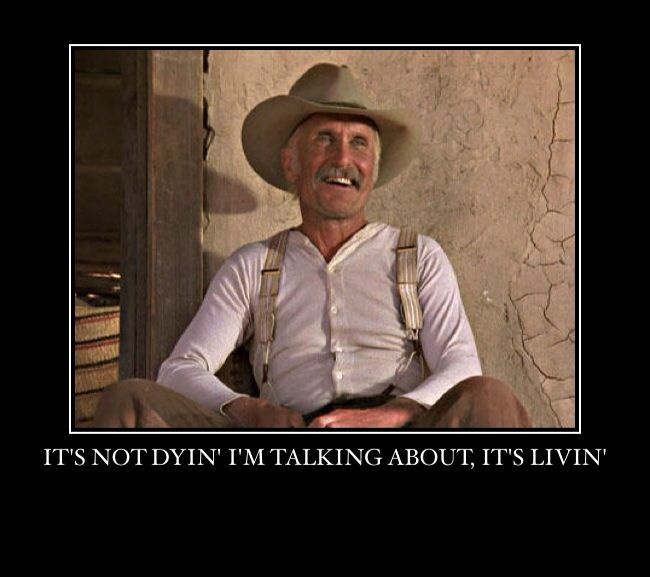 You know who said, “I am come that they might have life, and have it more abundantly”? Yep. But don’t take MY word for it. He heard what Jesus had to say. He ate with him. He watched him pray. He saw the things that no one sees, saw him confound the Pharisees! He heard him preach and saw him heal, and decided Jesus was for real. Shepherds Were Considered Low Class in Israel. So Why did Angels Come to THEM? Normally if a King was coming into the world, it would have been in a palace, and there would have been great fanfare over the birth of an heir to the throne. News would have been sent out from the palace with trumpets and proclamations so that everyone could hear the big news! Royal family members and political insiders would have been the first to hear the news, and it would have spread from there. In Luke’s account about the new-born king, however, the news did not come from the palace but from the pasture, sent to a group that was more often than not marginalized by religious society. Even in God’s economy, this did not seem like a logical choice. 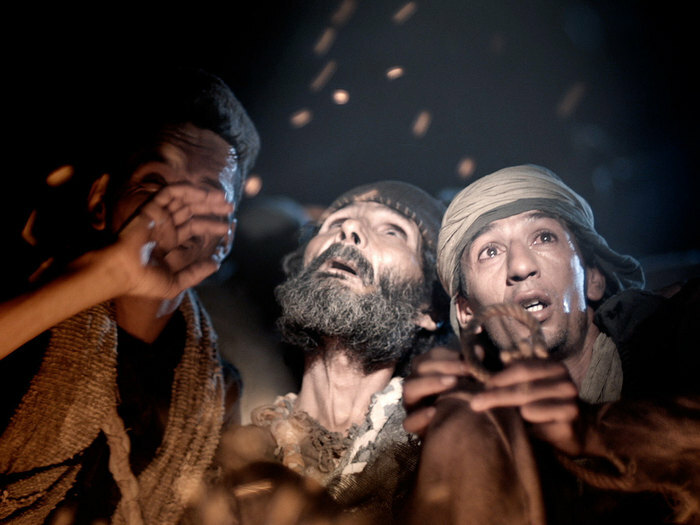 Shepherds were not the first group almost anybody would have picked to receive the good news of Jesus’ birth. (Why not priests or soldiers, or somebody from the palace?) Any Messiah maker with good sense would have proclaimed the news of the Savior’s arrival to the High Priest, or a governor, or someone with influence and a platform; maybe somebody who could get the news on TV. On the other hand, David was a shepherd, and he developed pretty fair fighting skills, wrote songs and Psalms, and ended up having a pretty notable career. I think the angel appeared to shepherds as a subtle nod to Jesus’ ancestry, and as a reminder that great things can have humble beginnings. 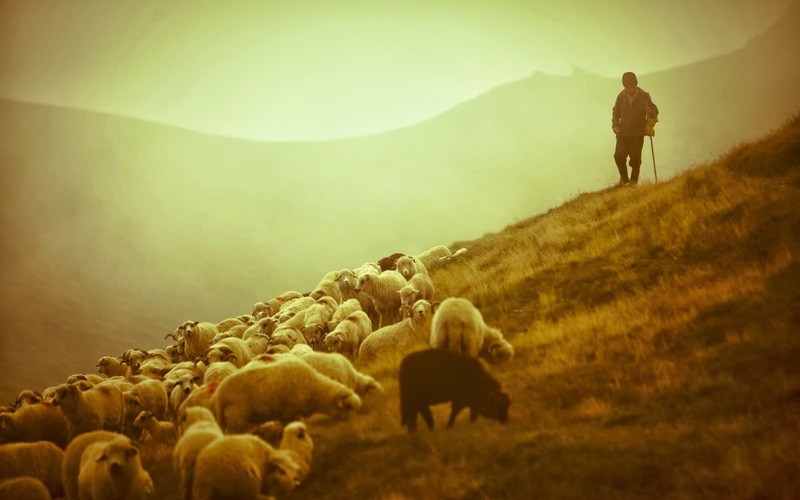 If these shepherds indeed watched over the flocks destined for sacrifice, then it’s impossible to overlook the direct connection to the lamb of God. At any rate when they heard the announcement, these shepherds carried the “good news that will cause great joy” into town and out to the surrounding areas; out of the hillsides and into history. And you know what? They may not have had TV or the internet, but amazingly enough the shepherds’ story is still being told, and is well known in today’s modern media age… Perhaps God knew what He was doing after all by announcing the good news when and where He did! Two things: does this good news bring you great joy? (I hope so!) And who are you telling about it? Perhaps someone you know is waiting to be carried from the hillsides into history. And into heaven as well. Was destined for Jerusalem as sacrificial stock. He gave us tidings of great joy! “There is a King! A newborn boy! Well after that, what could we do? We went! We found the babe! It’s true! That is the thing I can’t –I won’t– forget. The Gift that keeps on Giving: Who Says Christmas Only Comes Once a Year? Christmas is all about giving and opening gifts! It is a tradition that goes back to the gifts of the Magi, which were presented to Jesus as a young child sometime after he was born. Some folks relate it to Saturnalia, a pagan Roman festival which pre-dated the birth of Christ, and which was supplanted by the Christian celebration of Jesus’ birth. Since people gave each other small gifts during that winter festival, the custom was appropriated by early Church Fathers. (Although some Christians today refuse to celebrate because of those early roots, but I say, why let the devil have all festivals? It’s ok to celebrate the birth of Christ and give gifts!) Which gift will be your favorite this year? This year, don’t limit Christmas gifts to a single day. Celebrate it all year long! Embrace life wherever you are. Live with an awareness of the gifts that matter. Don’t get so caught up in your new iPhone that you miss the greatest gift of all! Merry Christmas! Sing Hosanna, peace on earth! Celebrate the Savior’s birth! Made every earthly power shift, and offered us His matchless gift. Since Jesus showed that “God came near”, why celebrate just once a year? At home, abroad, at work or play—Celebrate Christmas every day! Whenever you recall this rhyme: it’s Him, it’s you, it’s Christmas time! Nativity Scenes are Lovely; Could it Be that They Are All WRONG?? I’ve always loved the nativity scenes, with the animals, shepherds and wise men gathered around the manger honoring the baby Jesus, while an angel hovers over the stable as Joseph and Mary look on… The problem is, that scene never happened. The traditional nativity scenes are based on a couple of different events that took place at least several months and possibly up to two years apart, each with a different location and set of players. I guess you could say that Nativity scenes are Cliff Notes’ representations that portray both events together… The only group who made it to the manger area out behind the inn when Jesus was born were the shepherds. Interestingly, the place where the angels appeared to the shepherds is traditionally known as the “Tower of the Flock,” or Migdal Edar, which is very near Bethlehem. That pasture had a birthing place for lambs called the manger, and if that was where Mary delivered her baby, it creates some very interesting connections. The lambs born there and the animals kept there were likely sheep destined for sacrifice at the Temple in Jerusalem. It stands to reason that these Shepherds would have known a LOT about unblemished lambs and sacrifice. (Pretty thoughtful of God to connect those dots for us, isn’t it?) Once they got over their fright somewhere out in the Judean countryside, the shepherds did indeed stop by the manger in Bethlehem; but it was shortly AFTER being visited by an angel. (That angel, by the way, was joined by a host of other Angels who sang in celebration.) So, contrary to most Nativity scenes, it wasn’t a single angel, it was many; and the angel didn’t go into town with the Shepherds to the manger. It says in Luke 2:15 that the Angels “went back into heaven.” The shepherds went into town on their own, where they found “Mary and Joseph, and the baby lying in a manger.” They were pretty fired up when they realized that something pretty big was going on, and that they were part of it! Luke 2:20 says they “returned, glorifying and praising God for all the things they had heard and seen, which were just as they had been told.” The shepherds, it seems, have a lot in common with us. They are ordinary folks. They heard some really good news. They had a choice: ignore the news, stay out in the fields, and just go on with their lives as if nothing had happened; or they could believe the message, go and find out more about this baby, and meet him face to face. You have the same information the shepherds did, and the exact same choice. Something pretty big is going on. Be part of it. With Mary and Joseph and all the rest. But it doesn’t pass the Bible test! You’ll find it’s more of a summary. Just not the way you’ve always heard. To where the baby Jesus lay. Of Glory to the Newborn King! The important thing is, Jesus came! But Jesus came. That truth is totally actual. The Word, preexistent from the beginning, the creative force behind the universe, was made flesh. As Paul put it, Jesus “made himself of no reputation, took upon himself the form of a servant, and was made in the likeness of men…” (Phil 2:7). And oh yeah, he was born like all men, tiny and fragile and vulnerable. He was helpless and hungry and had to be protected like any other baby. He cried, snuggled and nursed. He grew in wisdom and stature over time, in the manner of men, and created a new and unthinkable paradigm for the Creator: He became part of his own creation. In what way do you suppose God is most glorious? You might expect God to be cosmic and majestic and distant, but instead he used his humanity as a vessel to dwell among us, to share our sorrows, our hopes, our emotions, our experience. Jesus had a personality. He hung out with friends. He went to parties and out to dinner! He smiled, laughed and told stories around the campfire out by the lake. He wept. He taught and healed among us, and rebuked those who made a mockery of his Father’s intentions. Living in the midst of carnal, selfish men, he offered something we rarely see: he showed us that God is indeed glorious. He reflected wisdom and grace, and confounded people who expected him to be normal. It was not majestic physical glory or awesome splendor, it was God’s amazing glory transmitted in a smile or a Word. 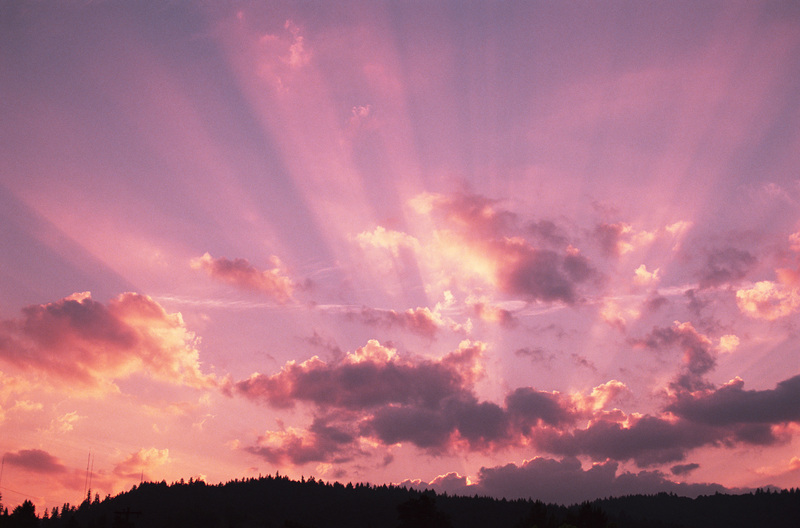 Have you had any glimpses of God’s glory lately? We probably have some preconceived notions about glory that keep us from noticing it sometimes, or that cause us to miss it altogether. In Luke 2:9 the shepherds responded to heavenly glory much as any of us would: “An angel of the Lord appeared to them, and the glory of the Lord shone around them, and they were terrified.” Glory can be pretty overwhelming, and we probably most often think of it on an overwhelming cosmic scale. I know we see it in sunsets and mountaintop vistas, and when we gaze into the night skies, but it’s not often we see it literally in someone else. Take a minute to stop thinking of it in grandiose, majestic terms, and think of seeing it reflected in a person. When you think of God’s glorious grace, who do you think of? I know I think of my wife, Nancy, and the love and grace she has extended to me over the years; I see it in my children and grandchildren, who are to me living expressions of God’s love and hope for the future…I have seen it at church, moving chairs or rocking a baby in the nursery. I have seen it at Young Life camps, touching lives and offering glimpses of what’s to come. And I still see it in the Word of God, preserved for me in John’s marvelous narrative, reflected in Moses’ law, expounded upon in Paul’s amazing letters, and passionately expressed in David’s Psalms. It’s more than what you’ve read, or heard. The Word was Moses and the Law. David praised the Word with song! And look for Him this Christmastime. Yesterday we discussed John’s claim that the Word was God. Certainly that claim had universal and cosmic implications, but those subjects were already being debated in divinity schools… The word was far above man, pre-existent, eternal, ephemeral, the essence of the divine Godhead, mysterious and unknowable. In verse 12, however, John seems to take a radically different tack, one that changed the game entirely. He claimed that the Word became a Man. He said: And the word became flesh, and dwelt among us.” It may seem crazy to some that a man claims to be god; it is even crazier to think that God would claim to be a man. 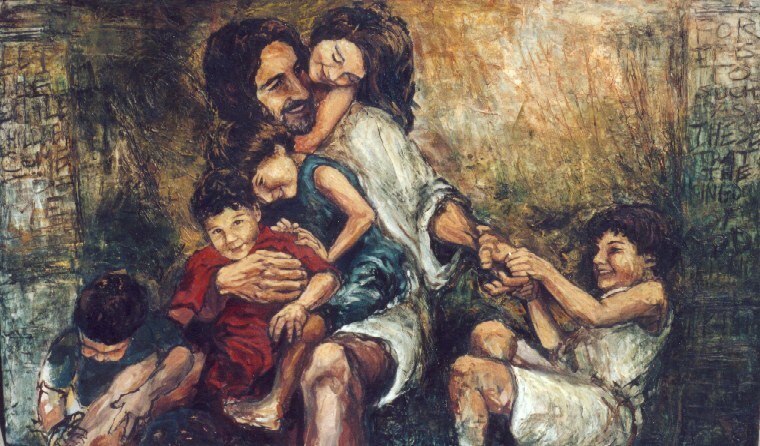 Since Jesus was not just a man, John illustrates what that means. As the Word, Jesus was the creative part of God’s personality. “God SAID, Let there be light, and there was light.” God spoke the universe into existence. Jesus was literally the Word who created this universe, the heavens, and this world…This is an area that I think we humans might have a hard time grasping in all of its implications, both spiritually and emotionally. 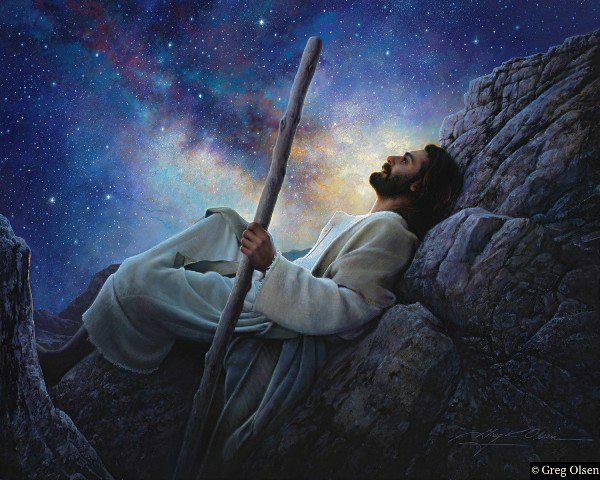 As the preexistent creative personality of God, Jesus spoke, energized and framed the cosmos into existence. Colossians 1:17 says “He is before all things, and in him all things hold together.” Jesus, the word incarnate, came to earth as a mere man and lived upon the planet he had made. The Word made flesh—which is the Advent, which is Christmas—means that he came to earth and literally became part of his own creation to do something about it regardless of the immeasurable cost. We should live, then, as he intended. Perhaps it would help if we saw the world around us through His eyes, if we appreciated it with His love… It might help us to look beyond the commercial Capitalist Christmas or the selfish shopper who stole my parking space. This Christmas season, put on your Holiday glasses of grace and see the world the way its Creator saw it, the way he intended it to be. And while you’re at it, look at yourself the same way, with more than a mother’s matchless love. If you think Jesus loved his creation, then imagine how he feels about YOU. See? There really are good tidings of great joy at Christmas! Involves Almighty God becoming man. How ludicrous that claim must be! Would never limit itself to earth! But if He did… what things would He must have felt! What did he think– the Word, Creator, God? Knew its value, and He knew the cost. He stood above Jerusalem, and wept. Gave up his life to rescue me. And you. Did He miss us as much when He went home? John said that the Word (logos) was God! Did anybody understand what he meant? Have you ever thought about what it means? “In the beginning was the Word, and the Word was with God, and the Word was God.” (John 1:1 NIV) Where Matthew and Luke provide historical and genealogical context for Jesus’ arrival, John’s gospel explores the theological implications… He starts his gospel by describing the Word in cosmic terms that transcend time and space, terms that offer no equivocation or apology. The idea of the logos, or true word, had been floating around philosophical circles for several centuries. (You might stop and consider that it’s still a major concept even in our “modern” world–we currently use logo as the personification of a Brand, or a symbol that fully represents a product or company.) But back then, Heraclitus used the term as a principle for order and knowledge as early as 500 BC. Sophists like Aristotle used it to describe discourse, and Stoics believed it was “the divine animating principle pervading the universe”. Philo (20 BC-AD 50) was a Hellenistic Jewish philosopher and contemporary of John’s who adopted it into Jewish philosophy. It’s hard to adequately describe to 21st century America how dynamic and pervasive this connection really is linguistically, philosophically, or theologically, because logos is such a broad connective concept. Read simply as “the Word” in the English language, all of these uses and definitions fail to capture or describe the full breadth of meaning behind logos, which conveyed generative force and dynamic thought to first century users. John takes this word, however and gives it a unique application that changed and challenged everything. 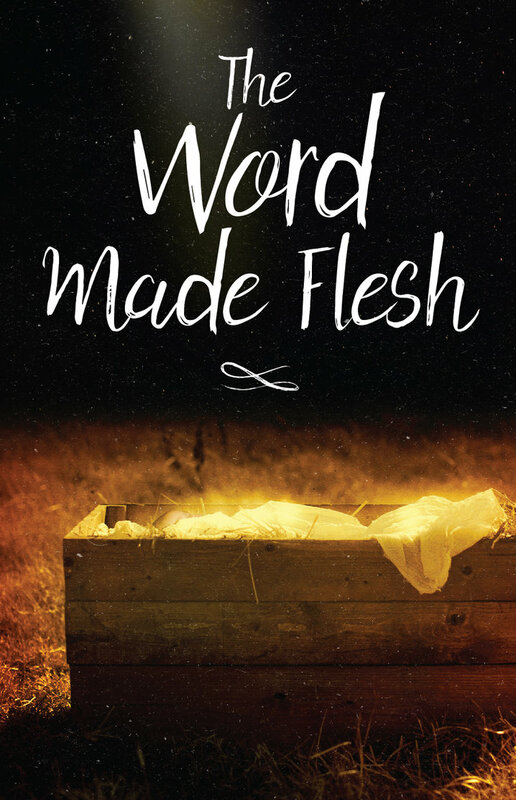 He says in 1:14 that “the Word was made flesh, and dwelt among us…” This connects Jesus to John’s opening sentence, “In the beginning was the Word, and the Word was with God and the Word was God.” This is one of the most insightful and important sentences ever written. It provides cohesion and context for the Christ’s place in the Bible, and presents Jesus as the incarnate word who connects the Old Testament with the New. John talks about the Word who was with God and who WAS God. The Greek syntax where John says “the Word was God” is such that the two parts are identical and interchangeable: the Word = God, and God = the Word. There is no ambiguity about Jesus’ identity in either this statement or in the other Gospels… Matthew connects Jesus’ birth to the Messiah who had long been foretold. Luke connects Jesus to mankind by tracing his genealogy back to Adam, and John? Well, he connects Jesus to God. If those connections are correct, then Jesus wasn’t just a Jewish prophet, and he wasn’t just a good man: he was God. That’s not just a good word, it is THE Word. Always has been. Always will be. But cosmic energy released within the spoken word. But the Word transcended time and space because the Word was God. His execution of the plan to tell redemption’s story. Consider this: the Word was God. And Jesus was the Word.